Today the UK's Competition and Markets Authority (CMA) received a so-called 'super-complaint' from Citizens Advice about long term customers overpaying for key services. The services under scrutiny include broadband, as per our headline, plus others - such as mobile phone contracts, mortgages, savings, and household insurance. About a month ago HEXUS wrote about how UK broadband customers face steep price rises at the ends of their contracts, and this is a worthwhile follow up to that story (which came via uSwitch) as now the government, via the CMA, is involved. Back then we referred to the suckering of loyal customers as an 'awareness penalty' but Citizens Advice call this same phenomenon a 'loyalty penalty'. The core of the complaint is that "people who stay with their provider - often on default or roll over contracts - can end up paying significantly more than new customers," and it is that that Citizens Advice defines as the 'Loyalty Penalty'. It has asked that a particular focus be put on the implications for 'vulnerable customers' which are hardest hit by this kind of chicanery. The CMA's Senior Director, Daniel Gordon, wrote that the concerns raised by Citizens Advice will be carefully considered and steps will be decided upon to make sure that businesses "don't take unfair advantage of their long-standing customers". The Internet Services Providers' Association (IPSA) in the UK has already responded to the super-complaint raised by Citizens Advice regarding 'loyalty penalties'. This body is "the voice of the UK internet industry" so is obviously cautious about today's 'super complaint' news having a financial /administrative impacts on its members. In a statement on its web page IPSA says that it is worried that Citizens Advice talking about a 'loyalty penalty' conflates customer loyalty with ill-informed or unengaged customers. IPSA highlights many reasons for loyalty beyond pricing, such as performance, service quality, and reliability. 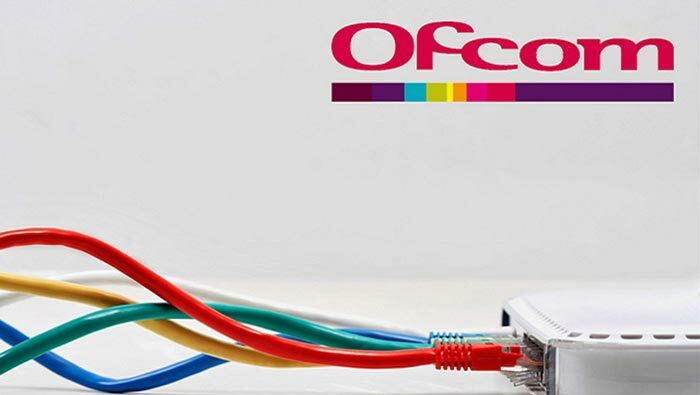 Moreover, it is currently working with its members to introduce end-of-contract notifications, as recommended by Ofcom. Last but not least, IPSA fully supports efforts to engage with vulnerable customers to provide support and help with switching. was with ee for a number of yrs on bb it was not till I was leaving they offered to reduce the price .there bb is great but I had to sign another 18mth contract I declined ..
at the end of this one i'll move again .. if they can discount it for a yr or 18mths why not keep the customer and make money by keeping it low .. I'm fed up of wasting my time arguing the buck with my isp and phone provider about my contract. Everytime my three contract comes round for renewal i have to argue with them about deals. I did have one dipstick once say to me when i challenged him that i can get better from a competitor but i want to stay with three, he actually said (notnparaphrased, actually what was said) “our opinion in Three is if you can get a better deal elsewhere, we want our customers to be happy and you should take that offer”. I asked him to confirm, on a recorded phone call, that he effectively told me my loyalty means nothing and i should go somewhere else. He said i shouldn't twist his words but i reminded him it was a recorded call both on threes and my side which he got a little upset about. Spoke to cancellations and they offered an S8 plus 30GB plan for my wifes contract for 25% off which was 15% better than what i was asking for. That idiot is not representative of my service with three, he was the by and far biggest exception. I shouldn't have had to do that, why is my loyalty worth less than new business? I get increasing yearly revenue but what about the existing customers who make your bottom line? I've had similar with Virgin but amusingly right at contract renewal my service gets terrible and can argue great deals with that leverage! Sim only - and buy the phone on some other finance method. That's skirting the problem, not fixing the problem. And from what I've been doing I've been able to get the contract i want and the discount makes it so that the monthly cost subtracting service makes it so my phone cost is equivalent to buying new via an alternative method. Congrats man. You gave some poor “Dipstick” a hard time for doing what management almost certainly told him to do. He knows the call is recorded. If he could give you want you want to get you off the line believe me he almost certainly would have. With many companies only the retentions department can give you anything. Core customer service can't do squat except help with service issues or transfer you. I call Virgin Media yearly and threaten to cancel and I get what I want. Retentions are allowed to lower my bill. They're allowed to send me a new router to replace the old one. Core customer service are not allowed to do this in many companies so its no use giving them a hard time over it.